Now that Fall is almost here I'm on the hunt for delicious recipes that I can make indoors. As much as I love when my husband grills, colder weather oftentimes forces me to use the oven again. So now I am dusting off the cobwebs and trying something new. My husband LOVES pizza and if it was possible he'd eat it every night of the week (and for breakfast). So I wanted to take a different spin on pizza - calzone. I'm a big fan of calzone because they can be customized for each individual's taste and they can be wrapped up and reheated later. I made two different varieties, Pepperoni Calzone and Pepperoni and Mushroom Calzone. Make the pizza dough according to your recipe's instructions. Store-bought dough works great but I love Pioneer Women's recipe if you have enough time to let the dough rise. Also, you can make it ahead and freeze or refrigerate it for later. Once your dough is ready to go, roll it into a large ball and sprinkle the top with flour and place it on a floored surface. Separate the dough into 8 equal-sized balls. I break the dough in half first and then use my hand to divid the dough into four equal sections before dividing it. Roll each of the 8 sections into 6-inch discs. Preheat your oven to 500 degrees. In a medium-sized bowl mix the mozzarella and ricotta cheese and the egg. Cut each the pepperoni into quarters and then mix it into the cheese and egg mixture. I made two different versions because I love mushrooms. So I divided the mixture into two bowls and added about 1/3 cup of chopped mushrooms to one of them. Now add the filling to the center of each disc of dough. You'll add about 2-3 tablespoons to each individual calzone. 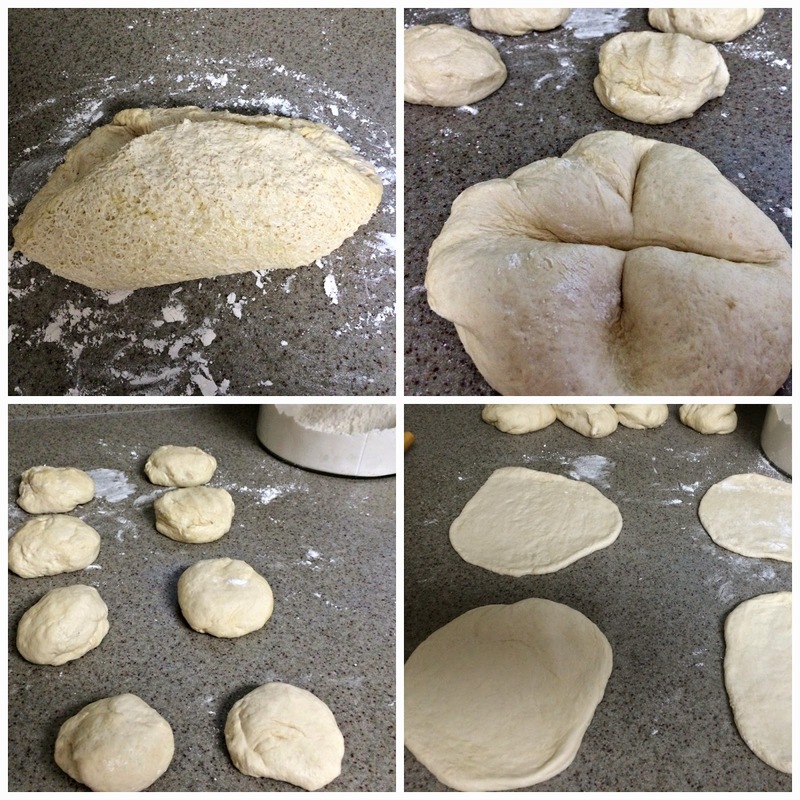 Fold the dough in half so that it looks like a half circle. Roll the edges of the dough up to essentially lock in all the filling. Then take a fork and press down around the sides to seal it in while it cooks. Place four calzones on a greased baking sheet or pizza stone. Brush each with olive oil and bake for 14 minutes or until the tops are golden brown. I like to wrap each calzone in foil so that they stay hot and are easy to put away to eat later. I use a Sharpe to signify the filling so that everyone gets the flavor they prefer. If you're interested in trying some of my other recipes, you can check them out here. I hope you enjoy them all. holy yum, batman! I definitely need to try these. the hubby AND kids would love these! They are so so good. My husband always asks me to make them. I hope your family loves them as much as mine does! Okay, I never heard of Calzone before but I so want to try one right now.